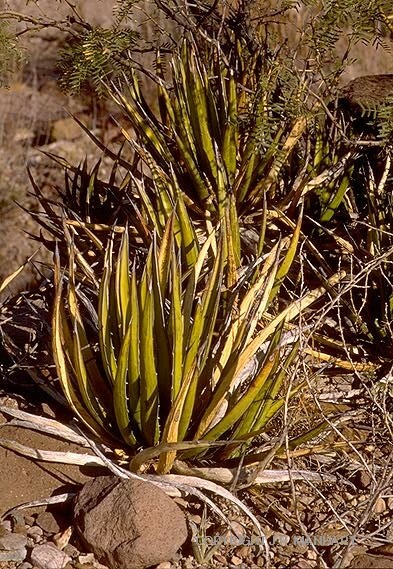 The leaves of this plant, the agave, provided the strong, flexible fibers used for weaving the items found in Coyote Cave. The weavers created these designs by combining white, undyed leaf fibers with dyed rust and brown fibers. Although more common and widespread in the past, the use of agave fibers is still found in many areas of the North American Southwest. Today, people use these fibers to make ropes, mats, hammocks, and decorative items.